I have 5 finger for there reasons: My little finger to make promises for my best friends. My ring finger for someone special when the time is right. 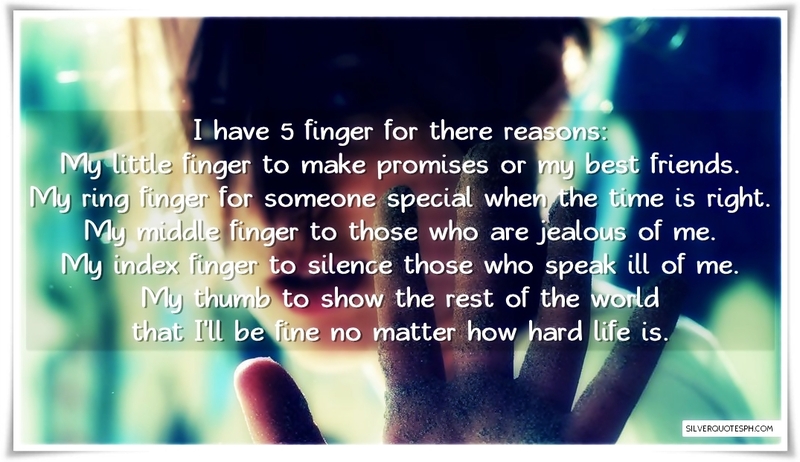 My middle finger to those who are jealous of me. My index finger to silence those who speak ill of me. My thumb to show the rest of the world that I’ll be fine no matter how hard life is.